Rule n.1: Avoid it unless you have already booked your accomodation. If you want to visit Venice there are periods when the city is less crowded, the risk of being overcharged is smaller and the chance of enjoying its beauty is much bigger. Rule n.3 The most overcrowded days are likely to be: Saturday 27 January, Saturday 3 and Sunday 4 February, and all days between 8th February (“giovedì grasso”) and 13th February (“martedì grasso”). Water taxis have a yellow identification stripe with the logo of “Comune di Venezia” and their identification number, in addition to a yellow flag at bow; if the flag is green the fares are different (it is a kind of rental service). The “yellow flag” taxi service is located in Venice island, Lido and from here to the airport (not vice versa from the airport is only green flag). Golden rule n. 1 is: ask for the price in advance, rather than getting lost in this colourful jungle. Golden rule n. 2: be aware that not all taxis accept credit cards, so ask them in advance or be prepared to pay cash! The service is very reliable and, contrary to most cities in the world, it is unlikely to be affected (delayed) by traffic jams or traffic lights. b) meter: if the place where you start/end is not a taxi station. In this case a set fare is applied with a supplement. If the bow flag is green it is a different taxi service and the price is negotiable. It is important to ask for the price in advance in order not to get ripped off. There is no taxi station at the airport so green flag taxis are the only ones available. Red flags are those of taxi drivers who got the licence in another Municipality; they can bring you to Venice from those municipalities but are not allowed to operate as taxi drivers inside the City. Final tip: there is nothing comparable to “Uber” in Venice (by the way, for local laws it would be illegal) and unauthorized taxis are by far much less frequent than in most other cities (with the possible exception of the Tronchetto island which is still kind of borderline): when you land at the airport, for instance, you will simply not be bothered by them and the local police are very strict in enforcing this rule. Last but not least: speed limits in Venice are not an option: the faster the boat the bigger the waves, and the waves can damage our precious stones. Therefore don’t ask your taxi driver to run faster.. and if he runs too fast you might gently tell him: “could you please slow down, I would like to enjoy the view”. 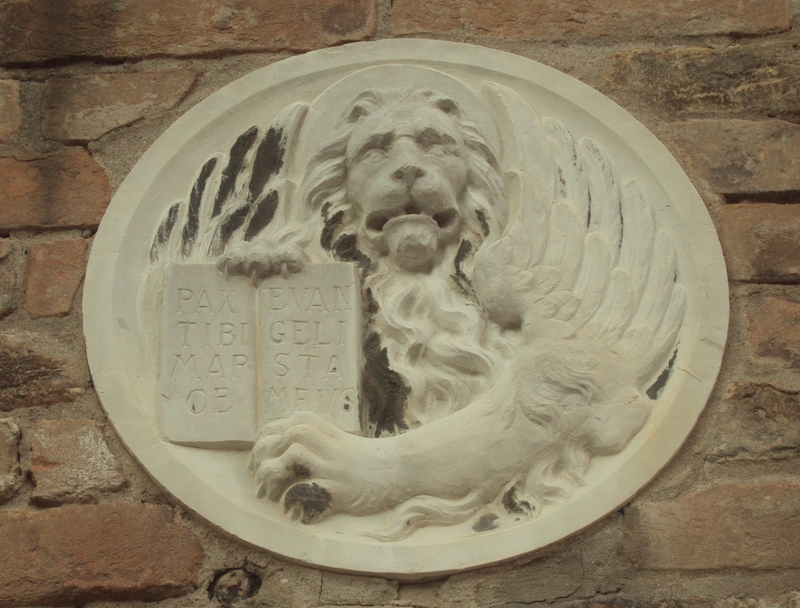 April 25th is the day that celebrates the past twelve centuries of Venice’s patronage under Saint Mark (San Marco), as well as the anniversary of Italy’s liberation more than six decades ago. It is a date particularly dear to Venetians, and while we would like to be able to celebrate this year, some cannot help but ask how can we? When such a unique city generates dizzying revenues, the wealth of which goes elsewhere while the coffers of the city remain palpably empty, there can be but very little to celebrate. For those who wish to ensure a future for this city – as a city that is so rich in its past – we ask you to come forward with solid and viable ideas on these few points that should unite us all, beyond political borders, and give a voice to sensible proposals and practical solutions, not the usual backroom chatter. For those who can conceive of a more byzantine outlook for our metropolitan city, instead of the habitual “all talk, no action,” we ask you now three things: take note of the failed policies in recent years, give back to Venice the authority to decide her own fate in electing its own municipal representatives, allow similar authority to Mestre, which deserves equal consideration, work out a “statuto speciale” for the Lagoon. The “special status” of Venice is already partly recognized by the particular law for which changes are even now being debated in the Senate. We must embrace this moment to present concrete proposals to those who are involved, so as not to waste this amazing opportunity. A “special status” for Venice would allow for the specific and unique needs of this island city, such as allowing it to hold the majority of the taxes generated by the local economy, so that it may be used to sustain local services, as well as offer incentives for both citizens and businesses to live and work in the lagoon city. Additionally, we would call for the consideration of tax benefits for native craftsmen and producers, similar to the “free zone” introduced by other European countries in their respective insular regions, all aimed at reviving and preserving that unique Venetian identity.